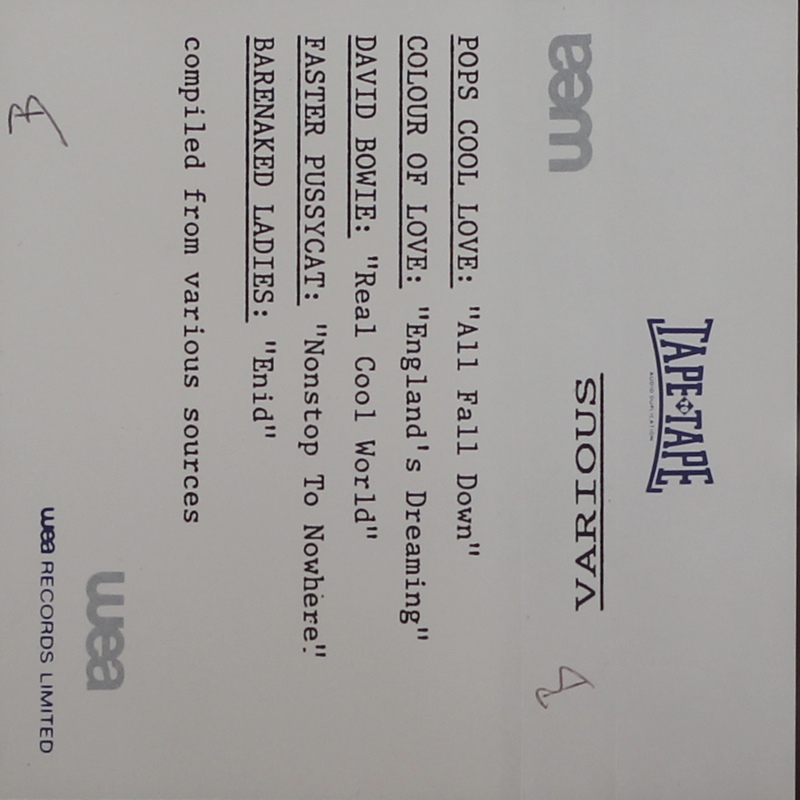 Promotional compilation tape from WEA records. Unmarked reference tape from WEA by ‘ Tape To Tape’ Audio Duplication. 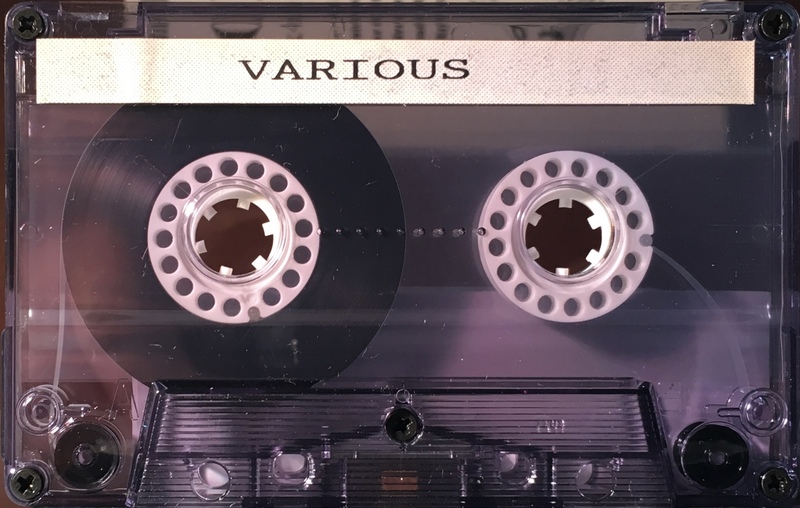 Plain cover and unmarked transparent, smoked cassette. This London (UK) based company later changed its name to Heathmans Mastering. David Bowie performs on one track: ‘Real Cool World’. (4:14).